My problem is all the rumor and misinformation spread about Apple and apologists who treat the world's most valuable tech company like it's some rebel force. Apple is no longer a puny upstart fighting "The Man". Apple is the "Establishment". I'm aghast with apologist bloggers and so-called journalists, not the company the two Steves, Jobs and Wozniak, founded. This post responds to a question posed over the weekend by one of BetaNews' most loathed commenters, Bay_Area_CA_Male, who I threatened to ban last week because so many other readers complain about his comments. He responded to my email promising to tone things down and also asking: "Why do you hate Apple so much? Or is it a 'get the most hits thing?'" I don't hate Apple, and I stand behind everything I write about the company (there's no hit whoring here, just provocative writing and compelling headlines). Can the Apple rumor-mongering rabble say the same? For clarification, while I here answer Bay_Area_CA_Male's question, catalyst for writing is one of several Macworld UK headlines in my RSS feeds this morning: "iPhone 5 'already built, waiting for LTE chipset'". single-sourcing problem before and won't belabor it again. Apple completes testing of 15 inch LCD for ultra-thin MacBook Pro? By the way, most Apple rumors turn out to be false, something Stupid Apple Rumors now tracks and reports on. Then there is the strange twisting of news to make something perhaps negative more positive. There, my apologist headline of the month (so far) goes to AppleInsider: "Apple allows Motorola Mobility to win procedural German injunction over iPhone". Oh yeah? Apple allowed, not the court ordered? Last month's favorite: "If you sold your Apple stock today, you're an idiot", by MG Siegler for TechCrunch. It was the apologist take for why it was okay that Apple fiscal 2011 fourth-quarter results missed Wall Street consensus. My problem isn't Apple, but all the news and misinformation about the company. You can chock up any tone in my Apple posts to them. Someone has to counterbalance this crap. It's nothing new. We've been here before, with Microsoft before its antitrust problems resurfaced in 1997 and 1998. Then tech reporting leaned heavily in Microsoft's favor. The kinds of Microsoft stories and rumors then remind of Apple today, just not as far-reaching. The World Wide Web reaches more people and is more a publishing platform than the 1990s. 1. Brand loyalty. People love their Apple stuff, and that's good for the company and demonstrates just how successful are its customer service, marketing and products. Enthusiasts tend to gloss over shortcomings, which is the enviable circumstance many companies long for. But Apple doesn't just have enthusiasts. There are unabashed loyalists, who are part of a sub-culture decades old. These are the members of the original rebel alliance and those who joined them later on. During the 1990s, when Windows PCs crushed Macintosh, Guy Kawasaki returned to Apple, where he, starting in 1995, worked on product and brand evangelism. "My job on this tour of duty was to maintain and rejuvenate the Macintosh cult", he says. Kawasaki's hit squad of loyalists is well-known among long-time journalists for their relentless responses (attacks if you like) against anything not pro-Apple. The group is still active today, using similar tactics but with louder voice because of comments. Their continued, unabashed cries of "anti-Apple" and "Apple hater" is testimony to Kawasaki's success at rejuvenating the "Macintosh cult" of loyalists. Thing is, Apple is no longer the Rebel Alliance. It's the New Empire. A good example of the hit-squad mentality: Comments to my post "Why can't Apple get iPhone's design right?" The majority of posts attack me personally -- name calling, character defamation and other put-down tactics -- rather than actually address the content. Over the weekend, my colleague Ed Oswald told me he didn't understand why I wrote that story. The answer is for the reasons stated therein the analysis. Telephony and battery life rank as among the top priorities cell phone buyers expect. Death Grip plagued iPhone 4 and battery-life the 4S -- problems that emerged immediately after launch. These are serious matters. 2. Stock price. I've harped on this one many times in past BetaNews posts. There are too many people too heavily invested in Apple, who don't want to see the share price fall. If financial analysts have Apple investments or clients invested in the company, conflict-of-interest is inevitable. This is an endemic scenario far larger than Apple. Over the weekend, Ed wrote about analysts and pundits taking a negative view of Apple's future following its fiscal 2011 fourth-quarter earnings announcement. I saw little of that. Surely no analyst heavily invested in Apple or clients there wants to rattle the stock price. Shares fell following the earnings announcement because of spooked investors, not because large numbers of Wall Street analysts suddenly turned against Apple. Some journalists are good about disclosing their investments. But if they have none, and acknowledge so, is that enough? The acceptable standard is yes. Does their significant other invest in Apple -- or parent, sibling, child or someone else whom they might be emotionally invested in. Conflict-of-interest isn't one layer deep. Apple rumors, of which there are way too many, help feed positive perceptions about Apple's future and help buoy the share price. Same can be said of the many rose-colored glasses stories that aren't critically balanced. 3. Writer users. Many Apple watchers -- be they analysts, bloggers or journalists -- use the company's products. Microsoft CEO Steve Ballmer made a startling observation two summers ago: "We have lower share in the investor audience". He joked about the number of Mac laptops he could see in the Financial Analyst Meeting 2009 audience "Don't hide them. I've already counted them. Feel free, as long as you're using Office". 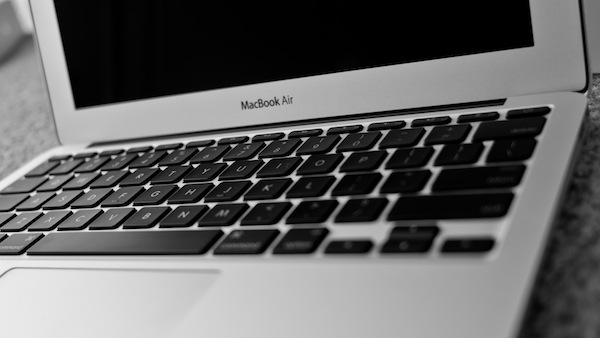 Several high-profile journalism schools strongly recommend or require Macs and other Apple products of incoming students. At events where I see bloggers or journalists, the majority use Macs, and I see lots of iPhones, too. There's inherent bias there. Microsoft got some of that same kind of benefit when everyone used Windows. 4. Google economy. Pageviews are the new measure of success and means of generating cash. They mean much for site's securing direct advertising and ad sponsors and for writers getting paid. I see it as fundamental to the "circle jerk" example and to many others like it. Stories circulate and recirculate, too often singly-sourced, leading to loads of misinformation and propagation of false rumors. All the while, someone gets clicks. But there is little original reporting involved. I don't get paid by the pageview here, and that's another area of conflict-of-interest not called out enough. I write about what's interesting to me and hopefully to others. I also like to stir up discussion, by looking at things from a different viewpoint. There's never one perspective to anything. I'm not anti-Apple. I'm hard on everyone, myself included. But I do react to the amount of misinformation and rumors about Apple and apologists who excuse every little thing. There my award of the month (so far) goes to last week's GigaOm post "Does the Siri outage reveal its success?" -- which turned a service outage into a badge of honor.